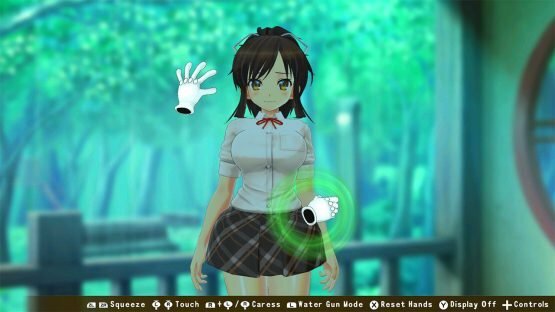 If you took the Dressing Room feature from previous Senran Kagura games, with its groping and water guns, and expanded it into a full game, then you end up with Senran Kagura Reflexions. The dressing room never did anything for me, apart from make me a little uncomfortable, and although Reflexions is cheap, there’s very little to work with here. 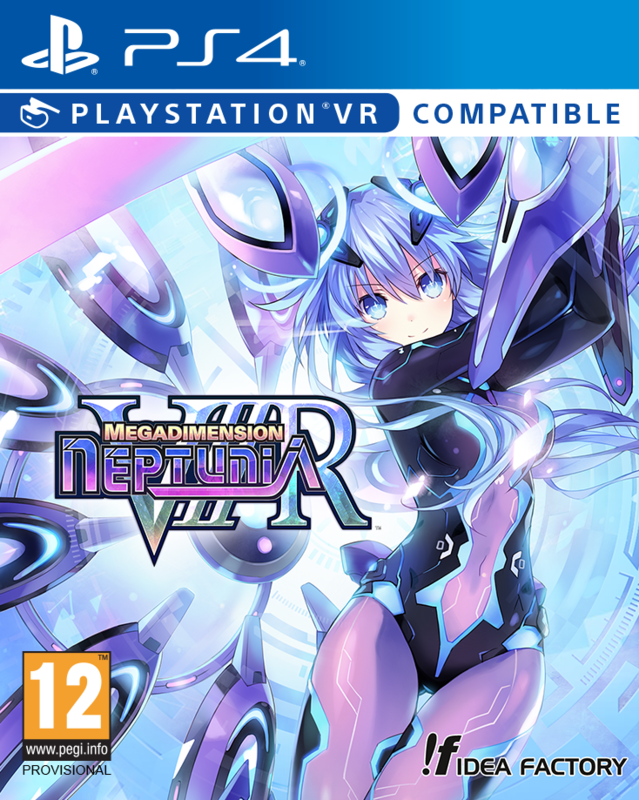 At only £8.99, I didn’t expect Reflexions to be bursting with content, but you quickly fall into repeated conversations and mini-games as soon as 15 minutes in. 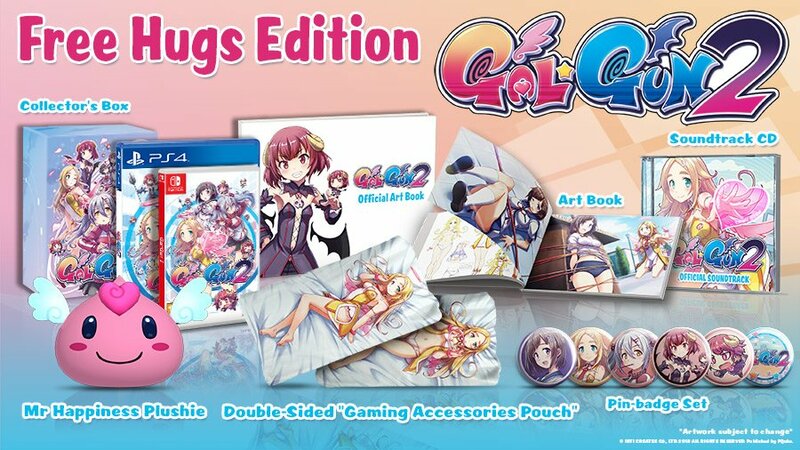 Other characters will be DLC, with only Asuka being present, and with only a small handful of different conversations to have, and only a small amount of items to massage Asuka with, it’s difficult not to wonder if Reflexions isn’t solely focusing on fan-service to sell itself. I’ve enjoyed Senran Kagura games in the past. On 3DS especially, they’ve featured fairly strong stories, character motivations and more, but since the jump away from 3DS they’ve focused more so on fan-service and jokes between characters, and Reflexions is an almost natural path of progression for the series. There’s no depth here, in any aspect. When you see your fellow classmate, Asuka, in a classroom after school’s out, it’s clear she wants to confess her love to you. What could be quite sweet is somewhat disturbing when you meet up with her over the course of several events, one including her calling you “big brother” as you slap her thighs with the same level of finesse from the lad from QWOP. 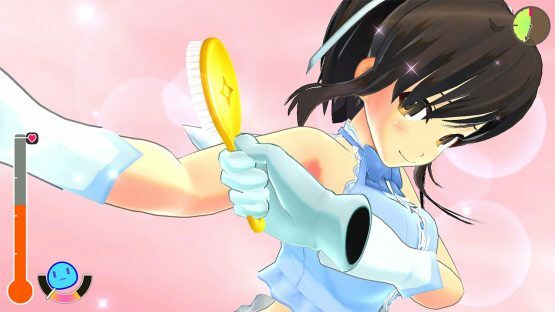 There are a small handful of ways to massage her, and a few events, and it quickly becomes clear that Reflexions is only for the most die-hard Senran Kagura fan – or die-hard fan-service fans. The actual massage gameplay isn’t particularly fun, and there’s no rhythm to it. The odd timing for massaging her, and having to meet a certain limit so that she fully enjoys it, makes playing it feel clunky. 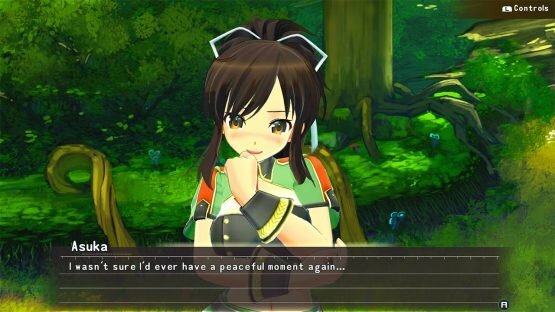 Reflexions is the best that Senran Kagura has looked with Asuka having a very detailed character model, but this is no surprise when the focus is only on a small handful of 3D models. She features a few outfits too, mostly pulled from other titles in the series, with each scene almost feeling like separate scenes from an overall story that seems to be missing. These are dream sequences, but that doesn’t make any more sense, either. The backgrounds are gorgeous and 2D, and they’re quite peaceful and romantic. 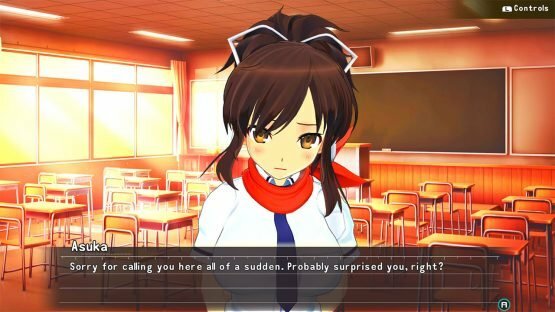 The game really could’ve been a sweet dating sim featuring Senran Kagura games, and it’s a shame that it rapidly dissolves into nothing but fan-service. If you’re a big Senran Kagura fan then you’ll likely enjoy this, and at £8.99 it isn’t too pricey. 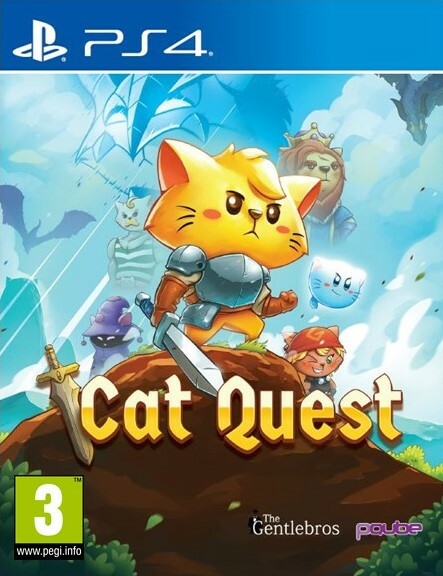 It seems like all DLC characters will be a similar price though and if they’re anything like this one, then you’re getting a shockingly tiny amount of repetitive content for your money. I recommend skipping this one, although the Joy-con HD rumble features are pretty great.